Isaac is an Alumni of the SAN DIEGO YOUTH SYMPHONY; a 'Classical" musician by initiation who performed the Cello while a member of the same. 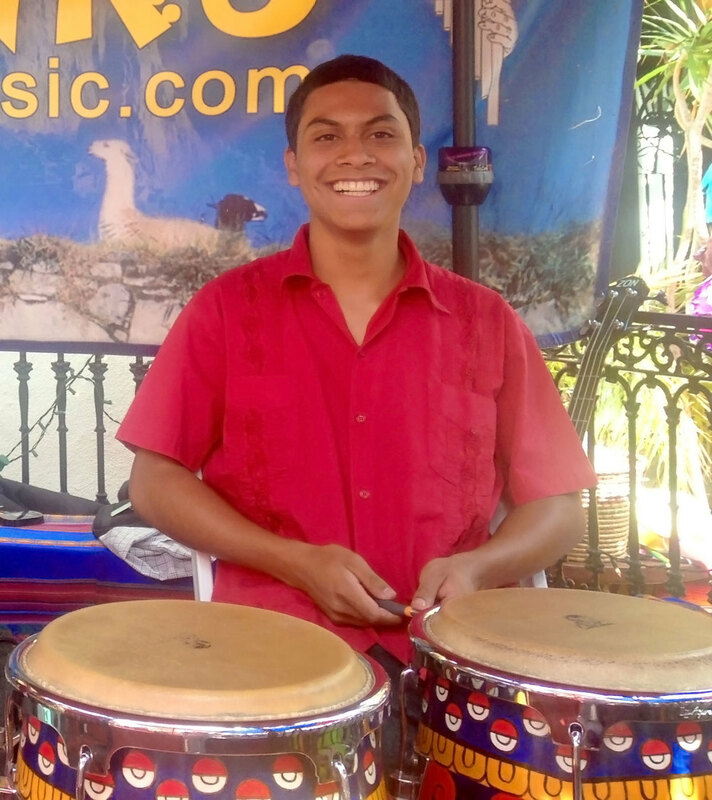 While still an active SDYS member and a young 5th grader, Isaac joined the band TINKU and appeared in his first public performance as a Percussionist; skills that he learned (and later mastered) under the direction of TINKU's Founder & Director, Francisco Astudillo. To date, Isaac has participated in numerous performances with TINKU and has quickly perfected the various Andean, Latin and World rhythms that characterize TINKU's performances. Isaac plays various percussion instruments during shows and has now mastered the Guitar. Like Francisco Astudillo, he is also a multi-instrumentalist and alternates with a minimum of 4-7 instruments during a single song theme...A must see and hear!